We recently blogged about basic espresso drinks, but without having a full understanding of your espresso equipment, the drinks are sure to falter. Espresso drinks require more than a simple pour, and the equipment requires more than simply flipping a switch. 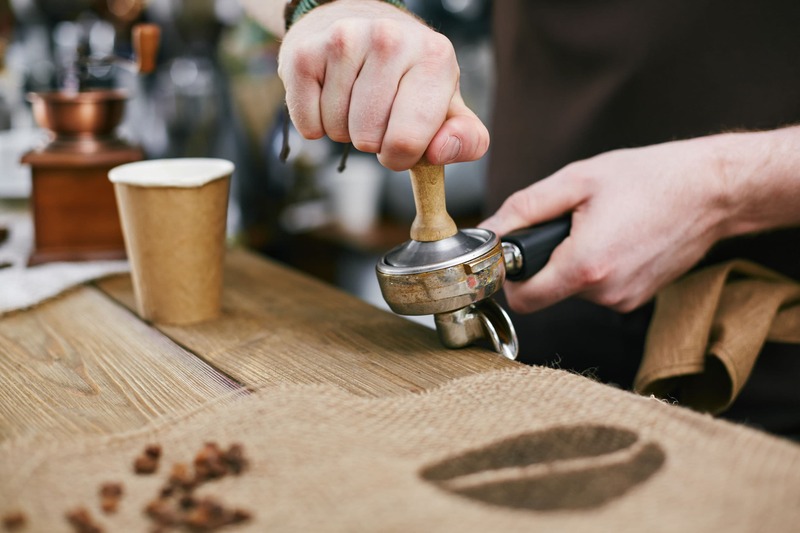 Once trained, though, your baristas can utilize your espresso machine to create delicious concoctions that are sure to keep your customers coming back for more. Size is an option! Espresso machines can simply brew a single shot at a time, or they can be purchased with two or three shot groups. This means that two or three portafilters can be filled with coffee pucks and percolated at the same time, giving you the ability to brew multiple shots simultaneously. Manual or Automatic? The best part about espresso machine technology is that there are now options through many manufacturers for the user to utilize automatic brewing or manual continual flow! Cecilware is the leader of this technology and has a large line of espresso machines available at Ckitchen! Don’t forget about water quality! If the water is bad, the espresso will follow, so ensure that your water is filtered with a specialized filtration system. Keep it clean. Before you brew your espresso shot, be sure to wipe off any excess grinds left on the rim of the portafilter, lest you push grinds up into the group head. Residual coffee in the handle, brew head -also called the group head, shower screen (the screen screwed into the brew head), and anywhere else in the brew system will turn rancid quickly and taint every espresso you make! Some machines have a 3 Way Valve that releases pressure behind the brew head. These machines usually come with a Blank Filter - a portafilter that snaps into the coffee handle with no holes in it. That means you can put a little coffee cleaner (Cafiza) into it, put it into the brew head, turn on the machine for 30+ seconds, and backflush! If your machine has no 3 Way Valve, no worries. Just keep the coffee handle clean by soaking it in a Cafiza solution, and remove and clean the shower screen every week or two. There are many courses one can take to learn how to properly maintain your equipment and create the perfect espresso shot. After you understand your equipment, then the fun begins! Choose your beans that you’ll be using for espresso. Many espresso blends are based on one or several high-quality Brazil arabicas, some washed, some dry-processed. They often involve some African coffees for winey acidity or enzymatic flowery /fruitiness, or a high grown Central American for a cleaner acidity. Get creative with your espresso drink varieties, and keep your customers coming back for more.